17.4" x 10.4" stitched on 14 count. 13.5" x 8.1" stitched on 18 count. 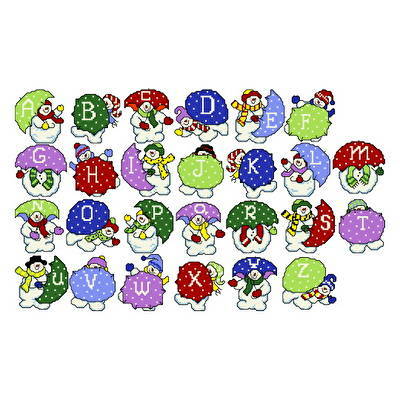 Snowman Alphabet cross stitch pattern... Each snowman is approximately 35x35 stitches. These are very cute for spelling out names or greetings.